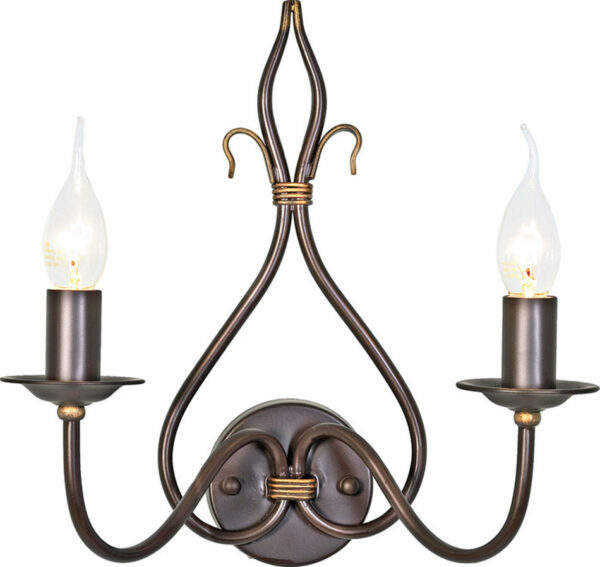 Beautiful wrought iron lighting range designed in the U.K. by Elstead Lighting. Wrought iron lights made to stand the test of time within the Windermere suite. Circular wall mount with central gold finished finial with two upward facing arms and decanter style silhouette. A well proportioned wall light in height and width which will create a significant and utterly stylish wall feature.